Mint State Gold by Stuppler is proud to extend to our clients this unique and outstanding offer: CoinStats. 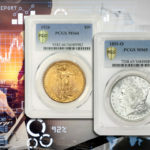 A tool for rare coin investors and collectors that we believe is the best available. CoinStats provides in-depth statistical analysis of popular series of certified U.S. Silver and Gold coins and helps our clients identify the best values. Posted in What is CoinStats?